An attempt to build a multiplayer game using Meteor and websockets, a variation on the old whack-a-mole games. 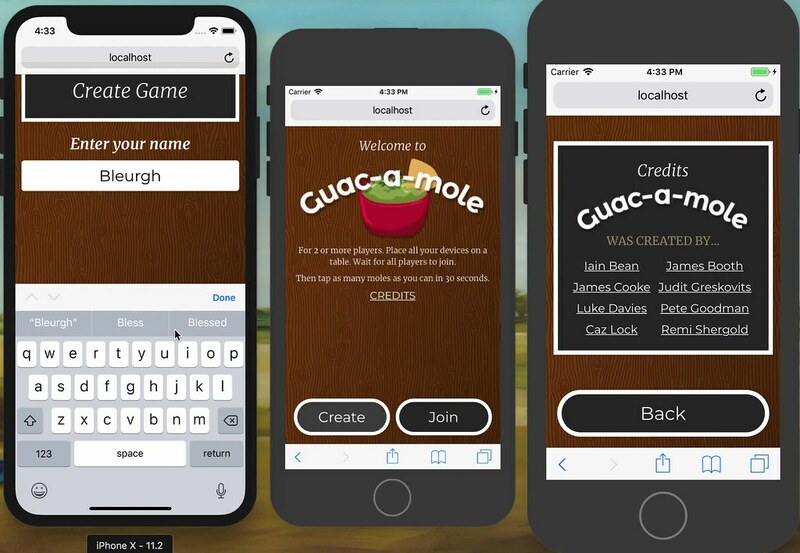 You load up guac-a-mole on multiple mobile phones, each player using their phone as a screen in the game. Each player takes turns having a go, and at the end the winner is the one who manages to chop the most ingredients before the timer runs out.